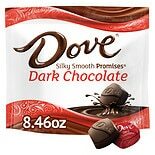 Shop Dove Promises Dark Chocolate Candy Bag (8.46 oz. )8.46 oz. $499$4 and 99 cents$0.59 / oz. 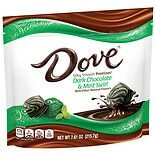 Shop Dove Promises Dark Chocolate Mint Swirl Candy Bag (8 oz. )8 oz. $499$4 and 99 cents$0.66 / oz. 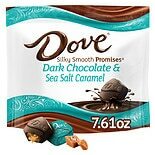 Shop Dove Promises Sea Salt and Caramel Dark Chocolate Candy Bag (8 oz. )8 oz. 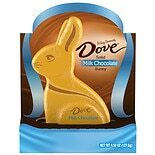 Dove Milk Chocolate Candy Solid Easter Bunny (4.5 oz.